There’s a new watch in town, the Apple Watch 3, but it seems Apple has discontinued the Apple Watch 2 to make room for it. Although no official statement has been given, the Apple Watch Series 2 is no longer available on Apple’s website, though you can still buy the Apple Watch Series 1 if the Series 3 is more than you want to pay for a smart wearable. 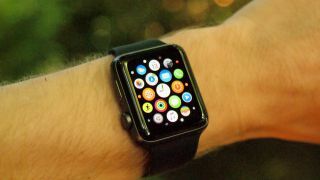 In our hands on Apple Watch 3 review we noted that the new wearable seems to be just an incremental upgrade to the Apple Watch 2, so it makes a certain amount of sense that Apple would discontinue a similar but older product. The main upgrade found in the Apple Watch 3 is LTE, so you can make calls and use data without it being tethered to your phone, though this addition is optional and ups the price, so if all you really wanted was an Apple Watch 2, the basic Apple Watch 3 won’t be far off the mark. Still, with the Watch 2 being just a year old, and getting four stars in our review, it’s a shame to see it discontinued so quickly.